Luxe Floor Pillow for Play Time, Tummy Time, Anytime! MORE THAN JUST A PILLOW: Designed with both parents and baby in mind, the Pello is the ultimate multi-use floor pillow, play mat and security blanket to keep your baby comforted, safe and secure. The unique design and materials make this a comforting cloud for babies to rest. HAVE IT FOR LIFE: Pello will grow right along with a baby, becoming the one item they never want to give up. In infancy, the soft center cuddles your baby, creating a permanent bond of feeling safe and secure. As they grow, their Pello becomes the perfect counterpart for practicing sitting, tummy time, as an obstacle course when crawling and endless wonders for pretend play. Older still, kids remain attached to their Pello and use it as a pillow while watching TV, reading and more. COMPLETELY PORTABLE AND EASY TO CARRY HANDS FREE: Perfect for parents on the go, the Pello is completely portable and can be enjoyed anywhere and used on any surface – including sand! So much more practical to tote around as parents move through the house or head out to visit others; the Pello features two sturdy handles and folds like a taco so you can just grab and go. WASHABLE AND DURABLE KID-FRIENDLY FABRICS: No germs here! The Pello is durable and completely washable! Made from 100% cotton and luxe brushed poly, Pello fabrics are baby and kid friendly and are hand selected by our design team to be both fashionable and functional. The filler is 100% hypo allergenic and naturally flame retardant polyester, meaning the Pello will maintain its excellence through untold accidents and launderings and your baby will always have a clean surface to snuggle into. MADE IN USA: Proudly designed and manufactured in the USA. 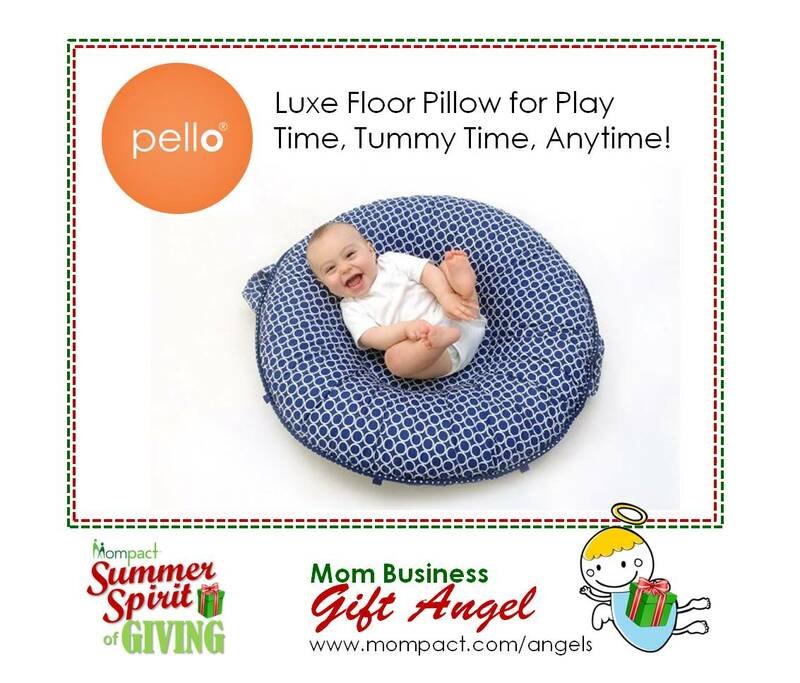 Pello includes 2 US patents making this the only product of its kind on the market. Pello features a 34″ circumference, 7″ height on sides, a 6.5″ square peek-a-boo pocket, padded, 9.5″ handles, and loops on the sides designed to easily attach and keep track of your baby’s favorite toys.